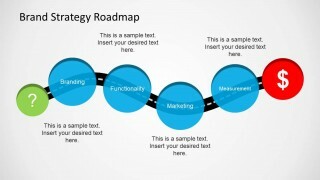 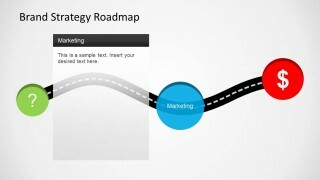 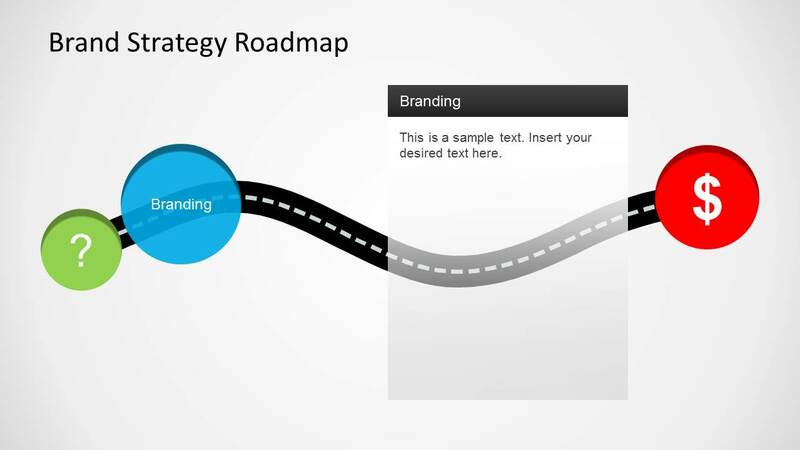 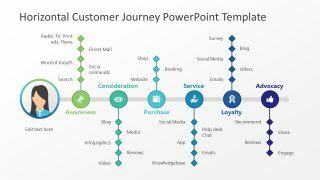 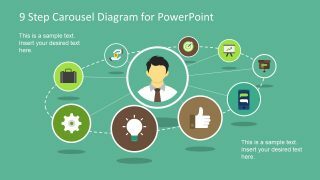 Brand Strategy Roadmap Template for PowerPoint is a presentation design containing a roadmap illustration that you can use in presentations on brand strategy and marketing. 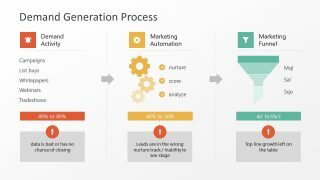 This brand strategy PowerPoint timeline template is also suitable for other strategy PowerPoint presentations. 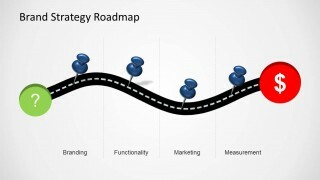 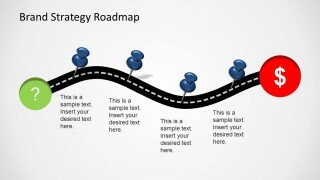 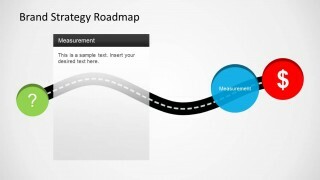 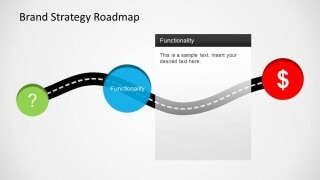 The slide design contains a road illustration with milestones that you can use to define the plan phases.